Home » lucille ball , new york state , statues , weird news , what the hell were they thinking » Does this look like Lucille Ball to you? Does this look like Lucille Ball to you? 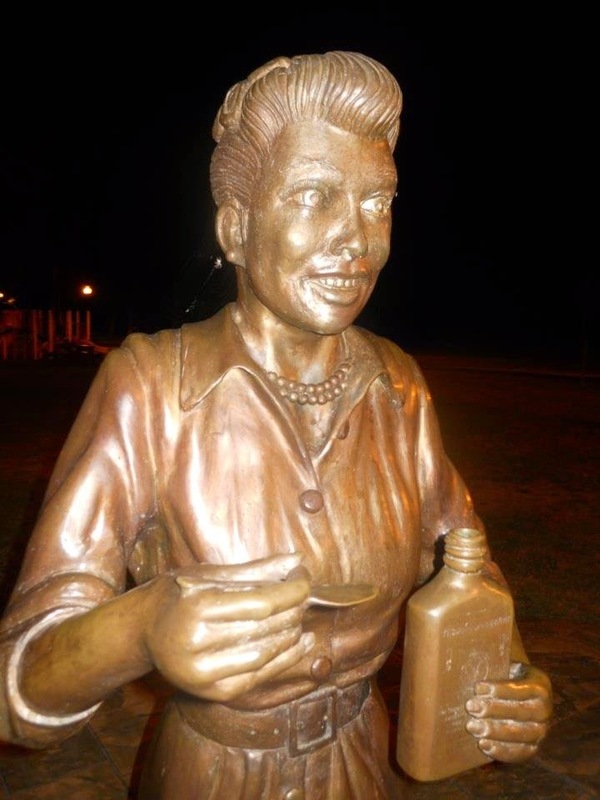 The people of Celeron, New York are condemning... and that may be too nice a word... a bronze statue of hometown heroine Lucille Ball. Ye gods, what a monster!! It looks like something out of The Walking Dead. Makes me wonder if this is what June Cleaver would be like envisioned by H.P. Lovecraft. That is nothing like the stunning beauty, amazing actress, comedic legend and all-out wonderful person that Lucille Ball was. To sum up: Celeron does not love this Lucy. The statue has been up since 2009. No real notion as to why only now is it getting the attention it is (maybe it's 'cuz in recent days a Facebook page about it has been created and racked up a zillion likes). New York Daily News has more about this bronze monstrosity. And I can't help but wonder if it works for Celeron, maybe going a similar route would deliver my own hometown of our pending atrocity.